On Roatan Island, the largest of the seven Bay Islands, you will find rainforest jungle, incredible coral reefs, beautiful beaches and more. There are two ports side-by-side in Roatan - Coxen Hole Port of Roatan and Carnival Corporations owned Mahogany Bay. 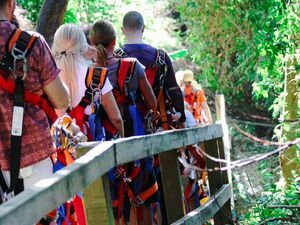 This is a true eco-tourism stop and will appeal to anyone who loves nature, check out our Roatan Eco Walkways, Treetop Suspension Bridges and Zip Line and Beach Break Adventure Excursion. To truly enjoy your visit, check out our excursions that will encourage you to make the most of your time in Mahogany Bay, Roatan, the epitome of an island paradise. Boat ride to Little French Key Island (3-5 minutes)! Lunch (varies daily, see details below)! 2 drinks of your choice (additional drinks available for purchase at cash bar)! Use of all Little French Key facilities and all non-motorized equipment such as snorkeling equipment, paddle board, kayaks, water beds, water chairs, chaise lounges, etc! Hammocks, restrooms, shaded umbrella/palapa areas! Escape the cruise crowds, enjoy a relaxing day on this private island getaway excursion to Roatan's Little French Key Island. Beach break, snorkeling, lunch, 2 drinks, round trip transportation and more on this special Roatan Day Pass Cruise Excursion in Honduras! Air-conditioned, fully licensed and insured Roatan Shore Excursion transportation! Bilingual (English and Spanish) speaking guides! Entrance to Monkey and Sloth Hangout! Guided Snorkel at one reef in the French Cay area! 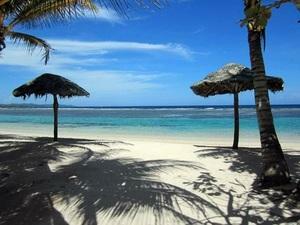 Beach break on the Northeast shore of Roatan at Las Palmas! This Roatan excursion is something you can not miss! You will go to the Monkey and Sloth Hangout to admire and play with this beautiful creatures. Then you will explore one of the reefs in Roatan and final you can relax at the beach. Bring your camera for some unique pictures and enjoy! Round trip transportation from your cruise ship terminal in Roatan, Coxen Hole or Mahogany Bay! Bilingual (English and Spanish) speaking, friendly staff! 3 Package options to choose from! Access to beach facilities (pool, bathrooms, showers and changing rooms)! Come enjoy a great way to spend the day on beautiful Roatan Island on this Paradise Beach Club Day Pass. Three packages, gorgeous beach and delicious lunch options to choose from. 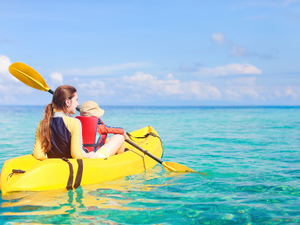 With plenty of beach activities and water sports, you’re sure to make those memories of a lifetime! 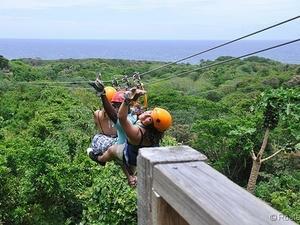 Entrance fees to Roatan Zip Line Park and West Bay Beach! Great family fun - 5yrs old and up! Combo of zip line and beach break! Big adventure on the canopy zip line, 16 platforms of fun with a relaxing, refreshing Beach Break afterwards. Bananarama West Bay Beach Club access! Welcome drink (soft drink, local beer or well drink)! Beach lounge chairs for adults! Locker rental - $5.00 USD not included! Snorkel gear, SUP, and kayaks available with $20.00 USD deposit (non-refundable)! A nice Roatan Excursion, enjoy a day on a relaxing tropical beach at the famous West Bay Bananarama Resort Beach with round-trip transportation from your ship's port included! Traditional "cayuco" boat ride through the mangroves! Optional stop at the "Hole in the Wall" famous restaurant! Bilingual (English and Spanish) speaking Roatan sightseeing, horseback riding and snorkel excursion guides! Includes all boat cruise, horseback riding, and guided supervision! Snorkel set includes varied sized fins, sanitized snorkel, silicone mask, and life jacket! Big Bight Beach Restaurant access! Come with us and experience the best of Roatan island. Boating through the mangroves, snorkelling over a barrier reef and horseback riding through the lush tropics, this special sightseeing and nature Roatan Excursion will help you make those memories that last a lifetime. Entrance fee to the 9 double-cable zip line course! Professional zip line equipment including harness and helmet! Bilingual (English and Spanish) speaking zip line, horseback riding and snorkel shore excursion guides! Boat ride to the Mesoamerican barrier reef! Guided snorkel excursion at Roatan's coral reefs! 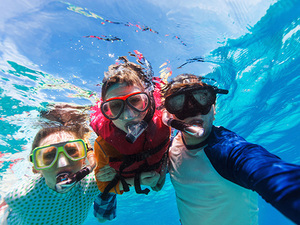 Snorkel set includes varied sized fins, sanitized snorkel, silicone mask, and life jackets! This is the ultimate combo Shore Excursion for you on the beautiful island of Roatan. 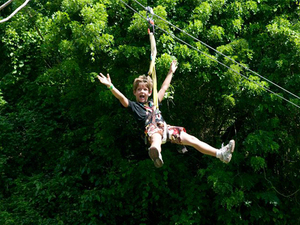 You will enjoy the thrills of a 9 zip-line course with unmatched sights of the island. 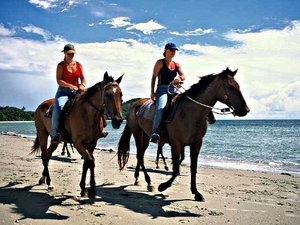 Then you’ll enjoy horseback riding on beautiful jungle trails and refreshing snorkeling at the famous barrier reef! 2 Great Reef Snorkel Sites! Small snorkel groups - max 10 snorkelers per snorkel guide! Full access to Mayan Princess San Simon Beach Resort facilities! Enjoy a beach break afterward at the Mayan Princess! Enjoy a spectacular Roatan Snorkel Cruise Excursion at 2 different coral reef sites by boat, then relax with a beach break at Mayan Princess Resort!. Round trip transportation included! 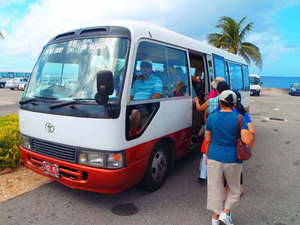 Round trip transportation from your Roatan cruise terminal (Coxen Hole Port of Roatan and Mahogany Bay)! Bilingual (English and Spanish) speaking shore excursion guides! Entrance to the Monkey and Sloth Hangout! Safety equipment to ride the ATV! Instructions and supervision throughout the excursion! 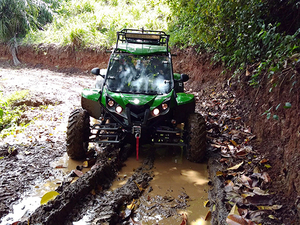 Experience a fun combo excursion - drive through the wild jungle on an ATV and admire the flora and fauna at the Monkey and Sloth Hangout. A perfect island day! Sightseeing of Roatan with photo stops! Guided Snorkel at Blue Channel! Beach time at West Bay Beach! Enjoy your day in Roatan with this combo excursion that would show you the best of the island by land and sea. Take in the city highlights, enjoy a visit to the Monkey and Sloth Hangout, refresh with a snorkel then beach break! Entrance fee to Gumbalimba Park! Use of all facilities including a restaurant, freshwater pool, kids pool, restrooms, beach lounge chairs, hammocks and many more! 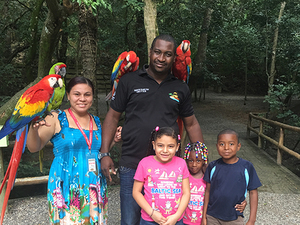 Enjoy your day in Roatan with this Gumbalimba Park Excursion. Walk through the park and admire the nature, relax at the beach or pool and much more! Bilingual, professional Zip Line Canopy shore excursion guides! Entrance fees to Roatan Zip Line Park! All necessary Zip Line excursion equipment! Enjoy 13 zip lines and 16 platforms! Round trip boat ride to Blue Channel reef! Beach Break at West End Beach! Enjoy the best of Roatan! With this zipline, snorkel and beach break combo, you would visit a zip line park and feel the adrenaline while gliding through the trees. Then snorkel in the crystal waters and explore the sea life the Blue Channel has to offer. Then relax on a beach break. English speaking cruise excursion crew and captain! Professional Sportfishing captain, crew, and equipment! All local fishing licenses and permits! Snacks, bottled water, and soft drinks (feel free to bring your own)! Choose what you would like to do! Fish, snorkel, coastal cruise, secluded beach explore and more. 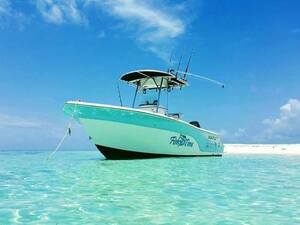 Come and enjoy the beauty of Roatan Island with this private boat excursion. Entrance to Zip Line Park and Monkey and Sloth Hangout! 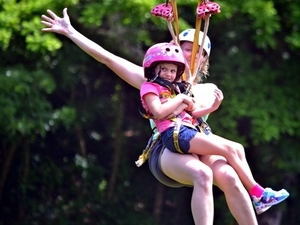 Enjoy 16 zip lines, 24 platforms, and 3 suspension bridges! Get to know the best Roatan has to offer. 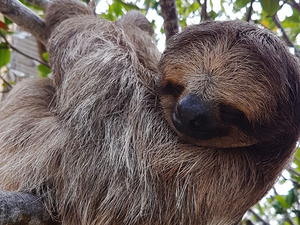 You'll feel the adrenaline at the Zip Line Park, then you'll meet some amazing monkeys and sloths. 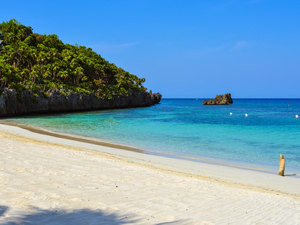 Your next stop is snorkeling at the beautiful Marine Park and finally, you'll relax on a beach break. Round trip scenic sightseeing transportation from your Roatan cruise terminal (Coxen Hole and Port of Roatan Mahogany Bay)! 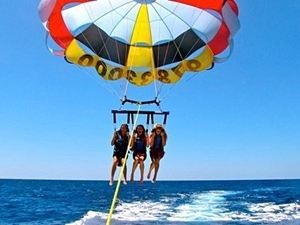 12-minute parasail flight above the Roatan's turquoise waters! Professional parasail equipment including harness and life vest! Bilingual (English and Spanish) speaking sightseeing and parasailing shore excursion guides! Access to restrooms and showers at West Bay beach and beach time! Beach bars and restaurants available to purchase lunch! Enjoy a scenic ride to West Bay Beach and the spectacular views up to 800ft (250m) above Roatan Island while Parasailing in paradise. Safe, reliable, professional Parasail Excursion crew for big fun and beach time at West Bay Beach! Round trip transportation from your Roatan cruise terminal (Coxen Hole or Port of Roatan Mahogany Bay)! Certified, bilingual (English / Spanish) speaking excursion driver/guide! Photo stops in Coxen Hole by the park, French Harbor, Chocolate Factory in West End and Rum Company at West Bay! Access to Tabyana Beach - Bananarama Resort! Welcome drink at Bananarama Resort! Use of beach chairs, changing room, showers, and restaurant! Experience a taste of Roatan on this unique excursion, while riding in the comfort of the single decked air-conditioned bus. Enjoy going around the island where you will hop off at the sites, then hop back on before relaxing at Tabyana Beach. The snorkel set includes varied sized fins, sanitized snorkel, silicone mask, and vest! Multilingual (English, Spanish, German or French) speaking local snorkel guide! Boat rides to both reefs! Bottled water and a snack of fresh fruit! Use of resort facilities after the snorkel is completed! View the Best Sightseeing of Roatan on a scenic drive then enjoy snorkeling by boat at 2 of the best reefs. Followed by a beach break at a resort! Local PADI certified English speaking SCUBA diving instructor! Maximum 4 SCUBA Diving students per dive master! 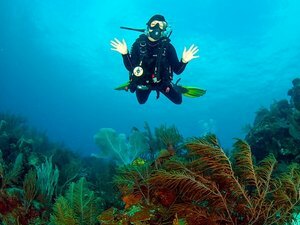 All discover SCUBA diving class material! Full diving equipment including regulator, BCD, weights, tank, fins, mask, and snorkel! 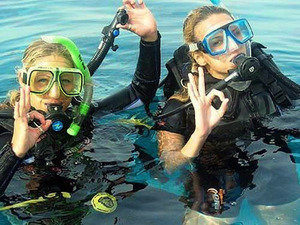 Discover SCUBA Diving excursion certificate! Use of resort facilities including swimming pool, beach, etc! In just a few short hours, you will Discover SCUBA Diving on this beginner's course. Reef dive from boat too! Enjoy a beach break afterwards at a resort! English speaking Diving Excursion operation! PADI certified dive master guides! 2 tank dive for certified SCUBA divers! 2 amazing diving sites - Mary's Place and Shipwreck (Prince Albert or Mr. Bud)! Complimentary purified water and seasonal fresh fruit on board! Dive gear available to rent! Get ready to explore one of the most amazing places in Roatan. Dive Mary's Place and get mesmerized by the walls and it's corals and sealife. Then you would have the chance to dive in a shipwreck and discover why Roatan is so great for diving. Bilingual (English and Spanish) speaking snorkel guides! All snorkel equipment including mask, sterilized snorkel tube/mouthpiece, fins, and flotation vest! Entrance to both the Monkey and Sloth Park as well as Little French Key! Beach Break at Little French Key! This is not just a regular snorkel excursion, you will explore the beautiful reef as you drift along for a relaxing one-mile and see a lot of amazing sea creatures on this adventure. Plus a fun beach break at Little French Key! Guided snorkel excursion along Cordelia Banks! Complimentary freshly made ceviche and seasonal fruit snack! 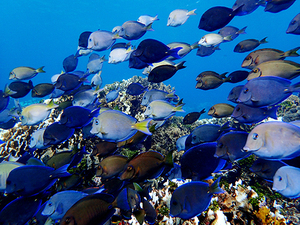 Explore one of the most preserved reefs in the Mesoamerican Reef, the Cordelia Banks. Enjoy some amazing snorkeling and some delicious ceviche. Have fun! Bilingual (English and Spanish) speaking Roatan sightseeing, horseback riding and shopping excursion guides! Includes horseback riding and guided supervision! Photo stop at French Harbour and First Bight View! Shop stops at First Bight View and Halu Kiliki! Discover the beautiful Roatan with this sightseeing excursion and browse for some unique souvenirs. 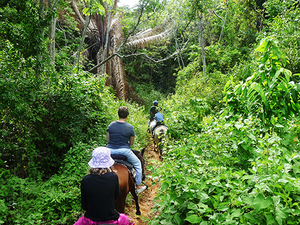 Then explore the jungle via horseback. This excursion has it all for you to have fun! Use of beach loungers and umbrellas! Access to beach club facilities (restaurant, bar, bathrooms, showers and changing rooms)! Learn a little bit more about Roatan while you visit some important sites in West End and Gravel Bay, then relax in the beautiful Sol y Mar Beach Club. Enjoy! Round trip transportation from your Roatan cruise pier! Certified, bilingual (English / Spanish) speaking excursion guide! 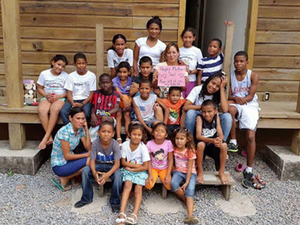 Visit Greenfield Children's Orphanage run by Sandy Bay Lighthouse Ministries! Interaction with the children during vacation season! Photo stop at one viewpoint and short beach stop at West End! Spend your day in Roatan giving back to this lovely community. You will visit the Greenfield Children's Home and then you will have the opportunity to spend some time in West End. Bilingual (English and Spanish) speaking certified guide! Visit the Spanish town, Swapo Community (street market), Gravel Bay and Sandy Bay! Guided snorkel of 3 different sites! Complimentary bottled water and soft drinks! Beach Break at West End! Explore the best Roatan has to offer. By land, visit the Central Park in Coxen Hole and have an amazing view of the island in the Spanish Town. Visit a small village in Sandy Bay and then you'll snorkel 3 different sites. 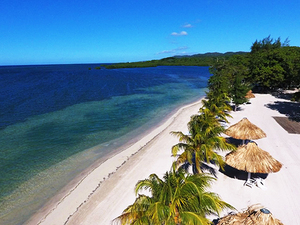 You will also have the chance to relax at one of the most popular Beaches in Roatan. Guided Snorkel Excursion of the coral reef! Beach break on the Northeast shore of Roatan! Enjoy the warm and calm waters of the south side of Roatan and explore the amazing sea life the coral reef holds. Then enjoy a relaxing beach break. Guided Snorkel of 3 different sites: French Cay marine park, Coco view reef wall, Prince Albert shipwreck or Big French Cay! Snorkel at 3 different sites in French Cay area and discover the marine life Roatan has. 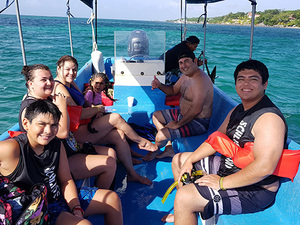 This is a great Roatan Excursion that offers you the opportunity for amazing snorkelling, beach break and create some great memories. 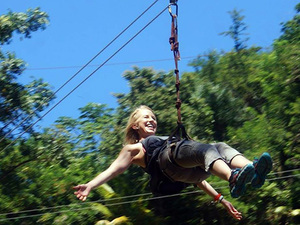 Entrance fees to the nature park and to Roatan Zip Line park included! English speaking certified zip line guides! All necessary zip line equipment! 13 zip lines to enjoy! 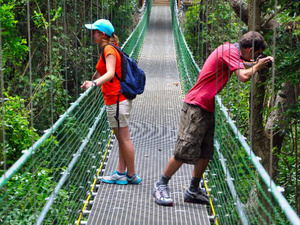 Enjoy the view from 7 suspension bridges high among the trees! Experience the Roatan Jungle on this fun combo adventure with treetop walkways, suspension bridges and zip lines too. The funest and more excited Roatan Excursion combo! PADI certified English speaking SCUBA dive master! Marine park fees (there is a suggested $5.00usd personal donation for the Marine Park)! 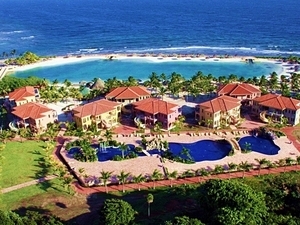 Use of facilities at Mayan Princess San Simon Beach Resort including swimming pool, beach, lounge chairs, among others! 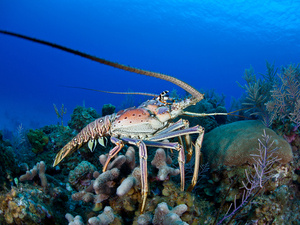 Fulfill your Caribbean diving dream of with Discover Scuba diving cruise excursion in Roatan! This Roatan Excursion is a great way to see what SCUBA diving is like. No prior experience needed! Plus enjoy a beach break afterwards at famous Mayan Princess Resort too! English speaking certified private guide and driver! See the things you want to see and do the things you want to do! Tailor-made just for you and your private group! Your own private guided excursion to see the best sights in Roatan Island. See what you want, tailored for you! English speaking certified excursion guides! Entrance fee to the nature park and West End Beach club! Jungle exploring in Roatan with Eco Walkways, 7 Suspended Bridges and a nice little Break on the Beach. Optional, round-trip transportation from your cruise ship terminal in Roatan! Certified English speaking cruise excursion crew and guides! Small maximum number allowed onboard! 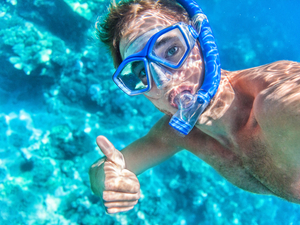 Enjoy a guided snorkel at the Blue Channel! Tasty, spiced platanos as snacks! Refreshments - water, juice, beer, rum punch! 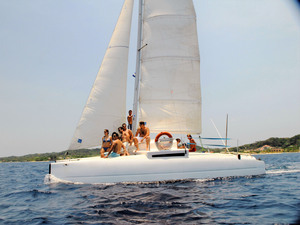 A guided coral reef snorkel combined with sailing on a 28' catamaran and includes a snack and beverages! Air-conditioned, fully licensed and insured shore excursion transportation! Bilingual (English and Spanish) speaking, jet ski excursion guide, and friendly staff! 30 minutes use of jet ski with a guide on separate wave runner to supervise for safety! Turbo Suzuki jet ski single or double riding! Fuel, insurance, and life jackets! Full use of West Bay Beach club facilities including lounge chairs, tables, umbrellas, palapas, bathrooms, and pool! Additional services are available (not included): bar, restaurant, massages, scuba, souvenirs, etc! 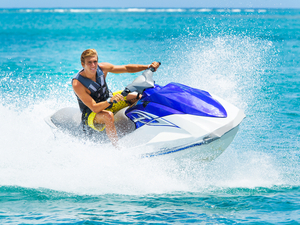 Enjoy some high-speed jet ski or waverunner excursion in Roatan with a fun beach break at West Bay Beach. Zip along the water and then sip an ice cold cocktail. Best jet ski and beach combination to enjoy your day in Roatan, Honduras. Bilingual (English and Spanish) professional excursion guides! All necessary Zip Line shore excursion equipment! Enjoy 13 zip lines with the longest at 1,300ft! 2 miles of zip lining fun! A fun and exciting excursion for the whole family or group. An adrenaline filled beautiful adventure in the jungle trees. Entrance fee to Jungle Top Zip Line Park! Free WiFi at Jungle Top Zip Line Park and Beacher's Restaurant! 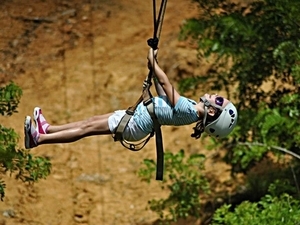 Come explore Roatan Island with this exciting zip line park combo! Zip across the tops of tropical trees, meet some cappuccino monkeys and enjoy one of the white sand beaches Roatan has to offer. Lunch option too! Full use of Beacher's Bar and Grill facilities! Reserved complimentary beach lounge chairs and umbrellas! Free WiFi at the Beacher's Bar and Grill! Optional Caribbean lunch available with drink (see shopping cart options)! 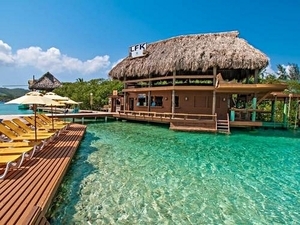 A great new Roatan Beach Excursion at famous Beacher's Bar and Grill on West Bay! Excellent beach, round-trip transportation from your Roatan cruise terminal included, optional lunch, all in all a great beach day pass in Roatan. Bookings are limited! Air conditioned interior of Semi Submarine! Entrance fees to the Semi-Submarine included! 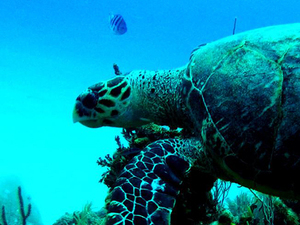 View the beautiful underwater marine life without getting wet! 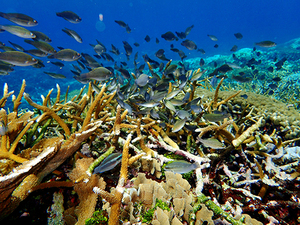 See Roatan's West End coral reefs! See all of the incredible Roatan marine life and coral reefs just below the surface and stay dry! View it all from the glass paneled semi sub glass bottom boat! Bilingual (English and Spanish) speaking, PADI certified beginner SCUBA diving instructor! Discover SCUBA diving theory class! Full SCUBA dive equipment including regulator, BCD, weights, tank, fins, mask, and snorkel! 1 tank dive from shore (approx. 45 minutes)! Club Sandwich, Cheese Burger or Quesadilla (choose one)! 1 local beer or non-alcoholic drink! Beach break after the dive with access to beach facilities (pool, bathrooms, showers and changing rooms)! 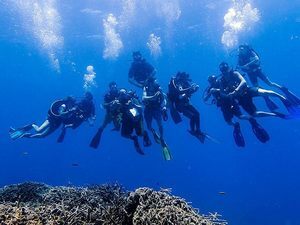 Have you always wanted to experience the colorful and exciting world of SCUBA Diving? Enjoy a great Discover SCUBA Dive Excursion for beginners followed by a beach break and delicious lunch at Paradise Beach Roatan, and with a fabulous view, all included. 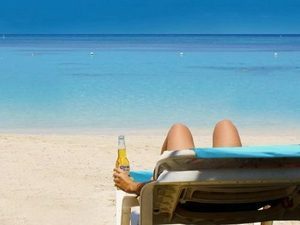 This is the way to spend the day on Roatan Island while on your cruise! Experienced fishing captain, crew and private boat charter! Go for the real private fishing cruise excursion in Roatan, fishing charter crew with 15 years of experience in deep sea fishing in Roatan, Honduras! 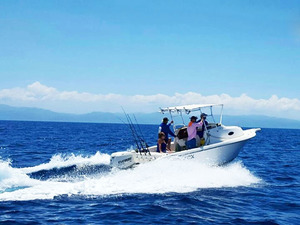 Bottom fishing, live bait or deep sea fishing, catching fish on this fishing charter in Roatan is basically guaranteed! English speaking fishing shore excursion crew! All taxes, fishing permits, fees, insurance and guarantee included! Explore the famous Roatan sport fishing grounds and nearby island waters on this private Roatan Deep Sea Fishing Charter Shore Excursion! Entrance fee to the Sherman Arch's Iguana Farm! 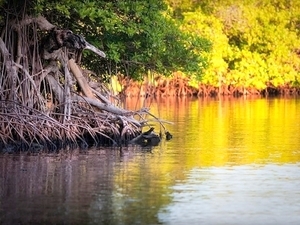 Enjoy a guided boat trip through the mangrove tunnel! See some of Roatan's premier marine life while snorkeling! A unique way to sightsee around the island of Roatan! Adventure, Nature and Sightseeing - discover the island highlights, mangrove tunnels, iguana farm visit and a coral reef snorkel too. 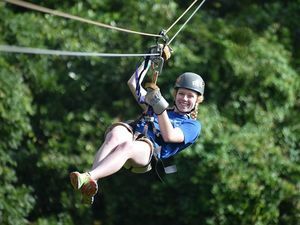 Great adventure combo with zip line, sightseeing and beach time! Safe and secure and FUN! 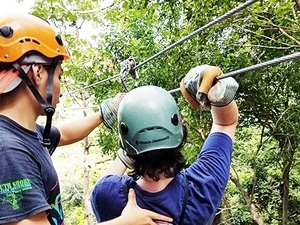 Certifies zip lines and English speaking shore excursion guides! Relax at West Bay Beach Resort! 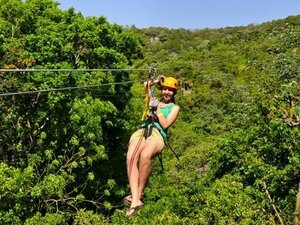 The best adventure shore excursion combo of Roatan - ziplining, sightseeing, beach time. Fun in the tropical island of Roatan. 2 tanks, 2 dive sites! Local PADI certified English speaking SCUBA dive shore excursion master! Tank and weights (dive gear rental is $10.00 USD on site)! Marine park fees (There is a suggested $5.00 USD per person donation for the Marine Park)! Use of facilities at Mayan Princess San Simon Beach Resort including swimming pool, beach, lounge chairs, etc! Come and enjoy one of the diving shore excursion industry's best-kept secrets and scuba dive the vibrant reefs around West Bay in Roatan! No hidden costs, all taxes, and fees included! 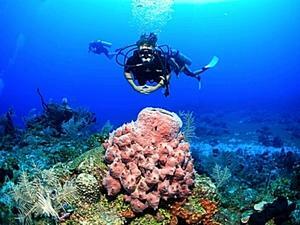 Explore 2 great sites on a 2 tank Roatan SCUBA dive cruise excursion by boat. Enjoy a beach break at the Mayan Princess Resort afterwards with all facilities! Boat trip to snorkel site! See above and below the beautiful Roatan jungle and Caribbean on this combo excursion. Enjoy a great zipline then snorkel by boat. Use of all resort's facilities including lounge chairs and swimming pool! Combo fun of both guided kayaking and snorkeling! Includes bottled water and snack! 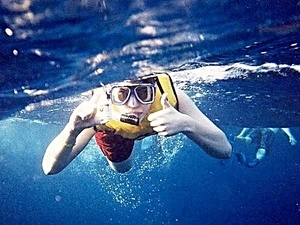 A fun, easy paced, sit-on-top kayaking experience in the beautiful aqua blue sea with great reef snorkeling at top site! 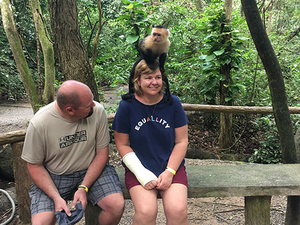 A unique experience with nature in Roatan with snorkeling at Lobster City, a visit with Iguanas and some island sightseeing. Pass to Luxury Beach Resort! Use of facilities including fresh water swimming pool and beach chairs! 2 complimentary drinks (fruit punch, local beer or pina colada)! A combination of scenic West End Roatan sightseeing and a relaxing day at Mayan Princess West Bay Resort Beach! A unique Roatan sightseeing and resort beach day cruise excursion! Entrance fee to the nature park! Fun combo adventure of treetop walkways and suspension bridges! Explore the jungle from floor to treetop. 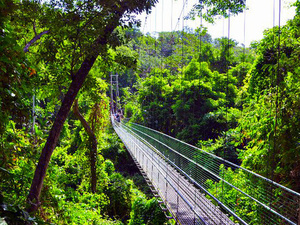 Enjoy a scenic stroll along walkways and the view from the suspended bridges in the treetops. Bilingual (English and Spanish), professional Zip Line cruise excursion guides! 13 zip lines and 7 suspended walkways! Relaxing West Bay beach break! 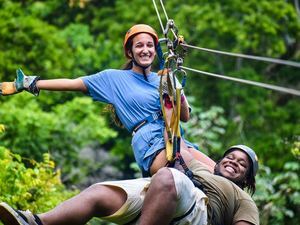 Explore the Roatan jungle from the ground up to the treetops! Relax on a tropical Beach Break. Optional, pre-arranged, round-trip transportation from your cruise ship terminal in Roatan! English speaking, professional snorkel guide! Refreshments - water, juice, beer, rum punch, and spiced platanos! 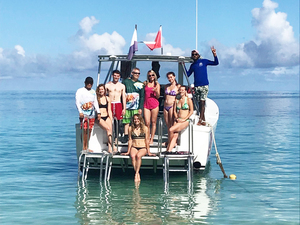 A private Roatan Excursion, sail to a beautiful coral reef and enjoy guided snorkel on a comfortable 31' catamaran, then try some tasty snacks and complimentary beverages! Sightseeing of the Viewpoint in Spanish Town, Coxen Hole Downtown, "Roatan" sign at Gravel Bay and optional Chocolate Factory! 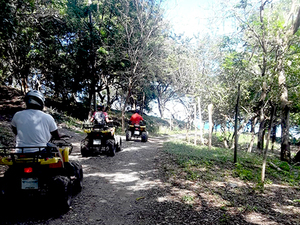 Get ready to feel the adrenaline while your drive your Buggy through the off-road trails in Roatan. Then relax at a nice beach. Enjoy! 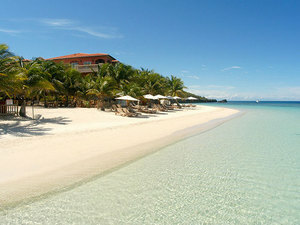 A great combo day, all the best of Roatan with East End Sightseeing, Beach Resort & Private Getaway...escape the crowds. Enjoy a certified 2 tank dive on one of the world's best reefs full of coral, marine life and spectacular walls. Then follow it up with a beach break at a resort. 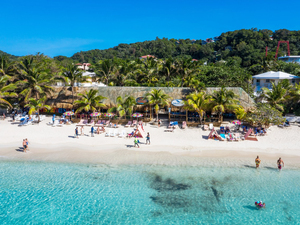 Book this Roatan Beach Day Cruise Excursion Early - Limited to 60 bookings daily! 3 package choices to suit your needs! Island style lunch from menu with All Inclusive and Day Pass Plus packages! Open bar (non-alcoholic and alcoholic beverages) with All Inclusive packages! Use of all Club Natale facilities and poolside loungers and beach chairs! Natural, unspoiled, no loud commercial resort noise! Rainy day special with live music! 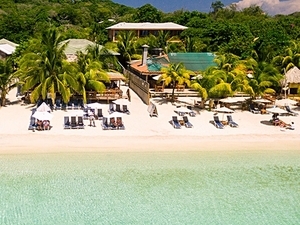 Get away from the ship crowds to this private All Inclusive beach resort with 3 choices for day of fun on one of most exclusive beaches in Roatan. Use of all facilities at Las Sirenas by Mayan Princess Beach Resort, such as swimming pool, lounge chairs, beach, etc! All Inclusive Day - 1 lunch choice, open bar, lounge chairs, pool...much, much more! Guaranteed return to the pier 1 hour before cruise ship departure! 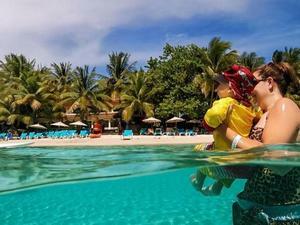 A great Roatan Excursion, an all-inclusive beach resort that ALL cruise line guests can book! Enjoy round trip transportation, private beach, pool, lunch, open bar, and more during the day of fun in the sun. Round-trip transportation from your Roatan cruise terminal (Coxen Hole and Port of Roatan Mahogany Bay)! Use of facilities at Las Sirenas Beach Resort such as swimming pool, lounge chairs, and beach! Guaranteed return to the pier 1 hour before ship departure! All inclusive day - all you want lunch buffet, special open Premium label bar, lounge chairs, pool...much, much more! Nice, relaxing and beautiful Las Sirenas for a VIP all inclusive day! Buffet lunch, premium open bar, lounge chairs, pool, and more. Round trip transportation included! Painting supplies and instruction from resident painting artist! Painting creation to take home! Local Roatan island style lunch: choice of chicken, seafood, beef or vegetarian plus 1 drink (with the Plus Package)! Open bar with unlimited drinks including beer and wine (with All Inclusive Package)! Lounge chairs by the pool and on the beach! Towel to use on site! Complimentary use of snorkel gear and kayaks! 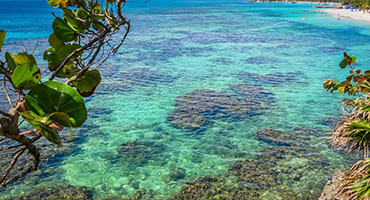 Ready for a unique Shore Excursion in Roatan? Unleash your inner artist overlooking the Caribbean Sea in a tropical setting. Get ready to paint, drink, and be merry. 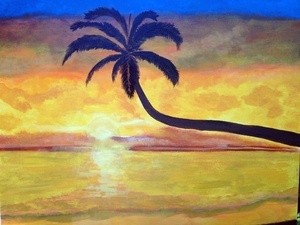 Painting and beach break at famous Club Natale Roatan!